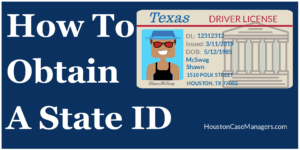 This guide will help you to understand the process of obtaining your state ID. If you want to your voice to be heard on election day you’ll need a state ID. Need a ride to the polls on Election Day? This guide provides lots of options (some FREE) to enusre your voice is heard on Election Day. Employers should have a copy of these 13 office break room rules on display for everyone to see. Break these rules and you’ll find yourself eating alone. A guide to finding Houston Head Start Programs for your child.